Turns out we didn’t have a blizzard last night because the wind didn’t blow hard enough. But we got twenty inches of snow and New York is still struggling tonight to dig out. 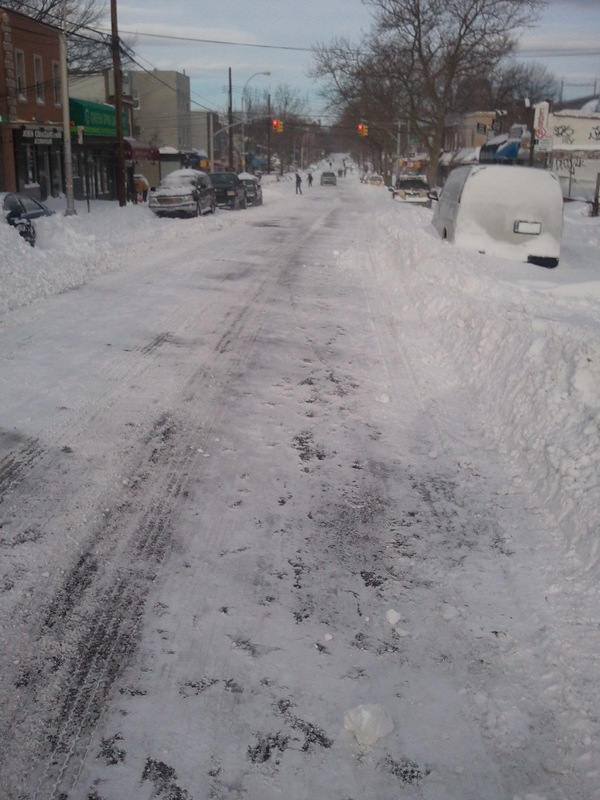 We were lucky; they plowed our street all night. I did exactly what every God loving tourist would do: I ignored the mayor’s call to stay home and went out. Cruised the shops on Fifth Avenue and took the ferry to Staten Island. I tried to get to Coney Island but all the subways down there were out of service. Today was the real holiday in New York, because people couldn’t go to work no matter how much their boss wanted. A lot of shops were closed, and others were partially staffed. One of the big reasons portions of the subway weren’t running was because train operators couldn’t get to their crew bases. It was a day for visitors, with their cell phones photographing every snow pile, buried car and slushy sidewalk. Hardly any of the locals, who rush down the street plugged into their earbuds, were out. This fact was clearly evident because 1) all the pedestrians were looking around and gawking and 2) everyone was waiting for the stoplights to turn before crossing the street. All this snow is really only a couple inches of water, which would have washed away before sunrise if the temperature were ten degrees warmer. But because we’ve been below freezing all day the snow ain’t going away. It’s being shoveled and piled and compacted to try to get it out of the way but it’s all still here. Tomorrow morning will be ideal for ice skating. I’ll send pictures. Next What Do We Sing Now? You live in the middle of the woods…You have no stoplights.